Collecting this pet is one of the requirements for the achievement Raiding with Leashes V: Cuteaclysm, which rewards Amalgam of Destruction! Slaps the enemy with its tentacle, dealing 433 Aquatic damage. The target is stabbed with a corrupted tentacle, dealing 98 Magic damage every round for 3 rounds. 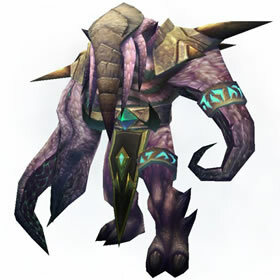 While poisoned, the target has a 10% chance to harm themselves while attacking. The user jumps through a void portal, avoiding the opponent's attack but dealing 394 Magic damage to themselves. The user then swaps automatically with your highest health pet. Got mine on 10 man normal after four tries and do not have Legion, only WOD. Dropped on 25 man Heroic after many tries. Void Portal deals 353 damage to the power breed at 25 which can crit and even outright kill the faceless (it won't trigger the swap if it does). Seems a bit extreme just for a Feign Death with a lowered cooldown on something that's already very squishy. At the very least using it shouldn't put your pet below 1 hp. It has no eyes, but it always seems to be staring at you.